Norman Pierrot was elected President of the Fort Good Hope Ɂehdzo Got'ı̨nę in May 2017. 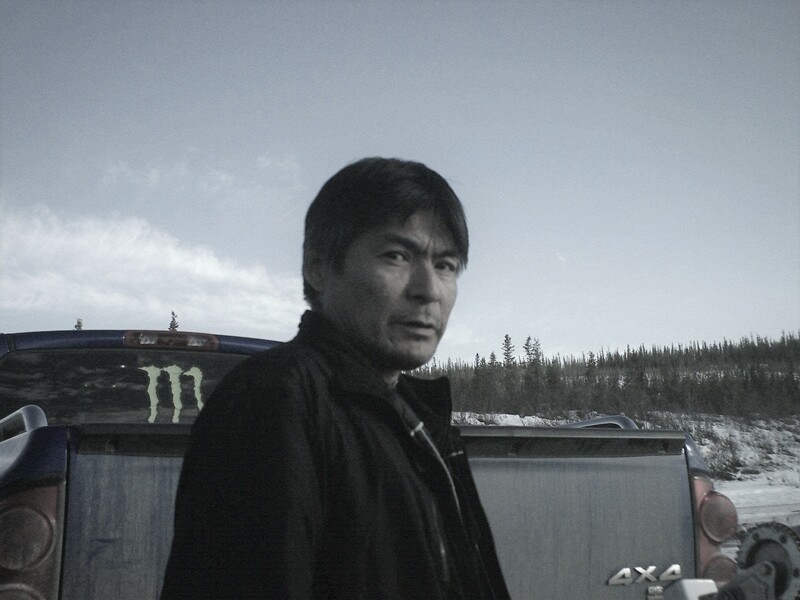 Of Dela Got'ı̨nę and K'áhsho Got'ı̨nę descent, Norman was born in Inuvik. During his first years, he was raised by his grandparents Gabe and Dorothy Cotchilly in Fort Good Hope. He was taken to Grollier Hall residential school in Inuvik at the young age of ten years, and it was two years before he was able to return home for summer vacation. His grandmother sent him to K'ahbamı̨́túé (Colville Lake) to live with his grand-aunt Angela Oudzi so that he could escape being taken back to residential school. After two years he was sent to Fort Good Hope where he began attending Chief T'selehye School. He completed Grade 9 at Grollier Hall. Norman became independent after that, and joined the armed forces for three years. After a series of diverse jobs, vocational training courses and upgrading, he returned to Aurora College and completed his diploma in Natural Resources Technology in 2000. He has since worked as a wildlife officer for NWT Environment and Natural Resources, as an environmental monitor for the Gwich'in Tribal Council, as a consultant for the Fort Good Hope Ɂehdzo Got'ı̨nę, and with contractors doing reclamation and remediation. For several years he worked in various exploration jobs for Discovery Mining Services, traveling throughout Nunavut and the Northwest Territories. For one winter season, he worked on the Snap Lake winter road. Through his many jobs and travels, Norman has seen the great damage caused by mining operations and has a strong motivation to play a role in conserving the land for future generations. He is dedicated to bringing together old and new ways of working for Dene Ts'ı̨lı̨ and wise stewardship of the land and wildlife. Fredrick is also a father and a grandfather. Fredrick has taught his granddaughter, Maylene, Dene language and on the land skills. Maylene has been going into the Mackenzie Mountains with Fredrick for the summer months since she was 15 years old. Fredrick also taught his son, Blake, trapping, hunting and traditional knowledge skills. Fredrick is proud of his traditional territory and believes it is important to protect Sahtú wildlife and environment and share his traditional knowledge.